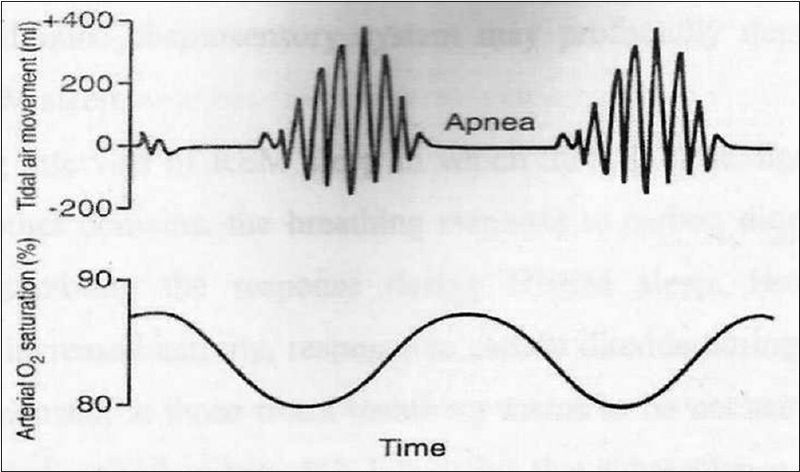 Mixed apnea - Central apnea followed by obstructive component. Physical examination of the head, neck, chest, and abdomen areas. Of the above methods, PSG plays a vital role in the diagnosis of sleep apnea. Sleep apnea, no driving and operation of heavy equipment. Mandibular advancement appliances and removable appliances. The ideal properties of removable appliances include simplicity of delivery, low bulk, lip seal maintenance, sufficient tongue space, noninterference with sleep, low cost, and lateral freedom. The patients selected for these types of appliances need to have certain features for the appliance to exhibit the best possible results. These include reduced lower anterior facial proportions, normal relation between maxilla and mandible, high position of hyoid, normal soft palate area and tongue proportion, and relatively normal postpalatal and postlingual airway. Advancement appliances are manufactured in different materials and sold under different trade names. Their main purpose is to place the mandible in a forward position so that the size of the airway passage is increased [Figure 2]. Kyung et al. measured the pharyngeal size and shape differences between pre- and post-trials of a mandible-protruding oral appliance using cine computerized tomography. They found that the oral appliances appeared to enlarge the pharynx to a greater degree in the lateral than in the sagittal plane at the retropalatal and retroglossal levels of the pharynx, thus suggesting a mechanism for the effectiveness of oral appliances that protrude the mandible. Ngiam and Kyung  investigated the efficacy of orthodontic microimplant-based mandibular advancement treatments for the treatment of severe snoring and OSA in adult patients [Figure 3]. They found that favorable reductions in sleep variables highlight the potential of microimplant-based mandibular advancement therapy as an alternative treatment modality for OSA patients who cannot handle the continuous positive airway pressure and oral appliance therapy. Referring to these studies, it is clear that the advancement appliances have given very favorable results in the treatment of OSA. The selection of patients, suitable for oral appliance therapy, must always be made by the attending physician. After which, the dentist selects the appropriate oral appliance. Mandibular advancement appliances are effective in changing the three-dimensional size of airway tube. Oral appliances have an effect on the tongue muscles by advancing the mandible, holding the tongue forward, or changing its vertical position, thus affecting the baseline tongue activity. If oral appliances simply rotate the mandible down and back, they will predispose to constriction of the hypopharynx due to which OSA may worsen. Allergic and nasal obstructions may sometimes prove to be contraindications in this line of treatment for OSA patients. If the initial assessment is coordinated by the attending physician and good communication is made with the dentist involved, a significant number of patients with snoring or mild-to-moderate OSA can be treated successfully with oral appliances. Oral appliances appear to be an effective nonsurgical alternatives for many individuals with either snoring alone or mild OSA. There is, however, concern over the long-term adverse effects, especially anterior flaring of mandibular incisors and canine teeth and the promotion of temporomandibular joint disorders. 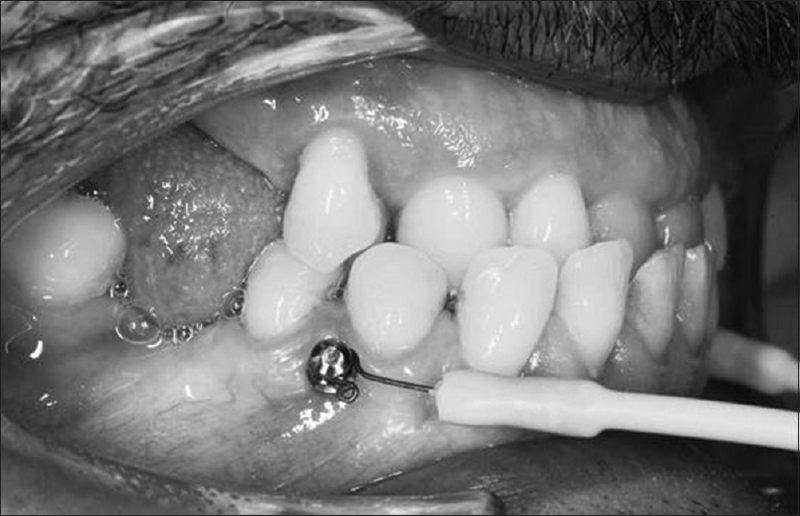 An adjustable mandibular repositioning appliance fitted to a few maxillary and mandibular teeth proves to be effective in reducing the AHI as well as snoring and increasing the saturated oxygen and REM stage during sleep. Shepard JW Jr. Cardiopulmonary consequences of obstructive sleep apnea. Mayo Clin Proc 1990;65:1250-9. Kales A, Caldwell AB, Cadieux RJ, Vela-Bueno A, Ruch LG, Mayes SD. Severe obstructive sleep apnea - II: Associated psychopathology and psychosocial consequences. J Chronic Dis 1985;38:427-34. Partinen M, Guilleminault C. Daytime sleepiness and vascular morbidity at seven-year follow-up in obstructive sleep apnea patients. Chest 1990;97:27-32. Aldrich MS. Automobile accidents in patients with sleep disorders. Sleep 1989;12:487-94. Gould GA, Whyte KF, Rhind GB, Airlie MA, Catterall JR, Shapiro CM, et al. The sleep hypopnea syndrome. Am Rev Respir Dis 1988;137:895-8. Horner RL, Mohiaddin RH, Lowell DG, Shea SA, Burman ED, Longmore DB, et al. Sites and sizes of fat deposits around the pharynx in obese patients with obstructive sleep apnoea and weight matched controls. Eur Respir J 1989;2:613-22. Colt HG, Haas H, Rich GB. Hypoxemia vs sleep fragmentation as cause of excessive daytime sleepiness in obstructive sleep apnea. Chest 1991;100:1542-8. Olsen KD, Kern EB. Nasal influences on snoring and obstructive sleep apnea. Mayo Clin Proc 1990;65:1095-105. Victor LD. Obstructive Sleep Apnea in Primary Care. Dearborn, Michigan: Oakwood Hospital; 1997. Krol RC, Knuth SL, Bartlett D Jr. Selective reduction of genioglossal muscle activity by alcohol in normal human subjects. Am Rev Respir Dis 1984;129:247-50. Issa FG, Sullivan CE. Alcohol, snoring and sleep apnea. J Neurol Neurosurg Psychiatry 1982;45:353-9. Wittig R. Clinical evaluation of excessive daytime sleepiness. In: Victor LD, editor. Clinical Pulmonary Medicine. Boston: Little, Brown; 1992. p. 439-60. Davies RJ, Stradling JR. The relationship between neck circumference, radiographic pharyngeal anatomy, and the obstructive sleep apnoea syndrome. Eur Respir J 1990;3:509-14. Flemons WW, Remmers JE, Whitelaw WA, Brant R. The clinical prediction of obstructive sleep apnea [Abstract]. Am Rev Respir Dis 1992;145(4 Pt 2):A722. Katz I, Stradling J, Slutsky AS, Zamel N, Hoffstein V. Do patients with obstructive sleep apnea have thick necks? Am Rev Respir Dis 1990;141(5 Pt 1):1228-31. Kyung SH, Park YC, Pae EK. 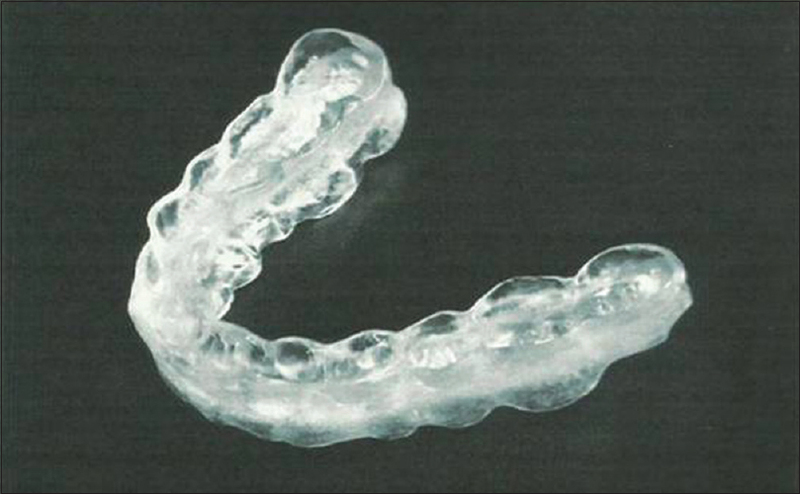 Obstructive sleep apnea patients with the oral appliance experience pharyngeal size and shape changes in three dimensions. Angle Orthod 2005;75:15-22. Ngiam J, Kyung HM. Microimplant-based mandibular advancement therapy for the treatment of snoring and obstructive sleep apnea : a0 prospective study. Angle Orthod 2012;82:978-84.